Eternity! It occurs only once in the English KJV Bible in Isaiah 57:15. It means, “forever” or “perpetuity” or “of continuous existence”. Eternity is a timeless realm, where the categories of past, present and future do not apply. Upon death, the human soul transitions from time into the great realm of eternity. Where will you spend eternity? That is the great question. 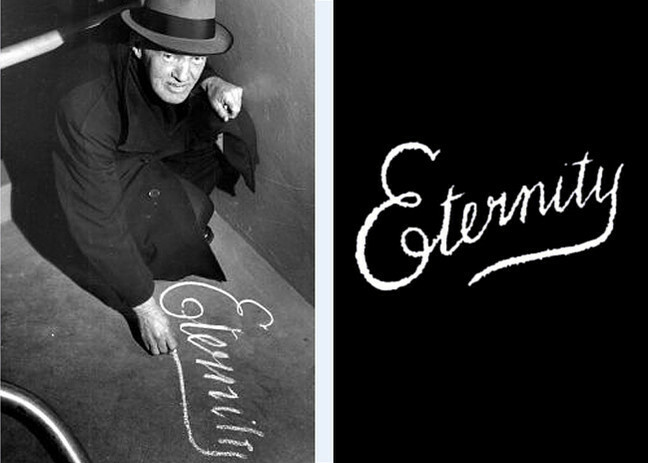 For one man, he felt a special calling to creatively confront people with the reality of eternity by writing the word in chalk on the streets of Sydney, Australia. 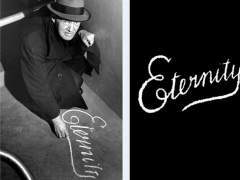 For around 35 years he wrote, “Eternity” amazingly some 500,000 times! If you have the time, read his interesting life story below. Please don’t neglect to prepare for eternity. 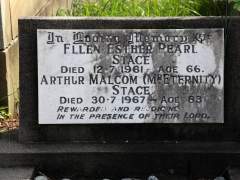 Arthur Malcolm Stace was born on February 9th, 1885 in Redfern, New South Wales, an inner-city suburb of Sydney. 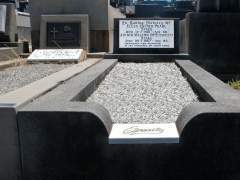 Arthur was the fifth child of William Wood Stace, from Mauritius and Laura Stace (née Lewis). Unfortunately Arthur’s parents were alcoholics and he was brought up in poverty. In order to survive, he resorted to stealing bread and milk and searching for scraps of food in bins. 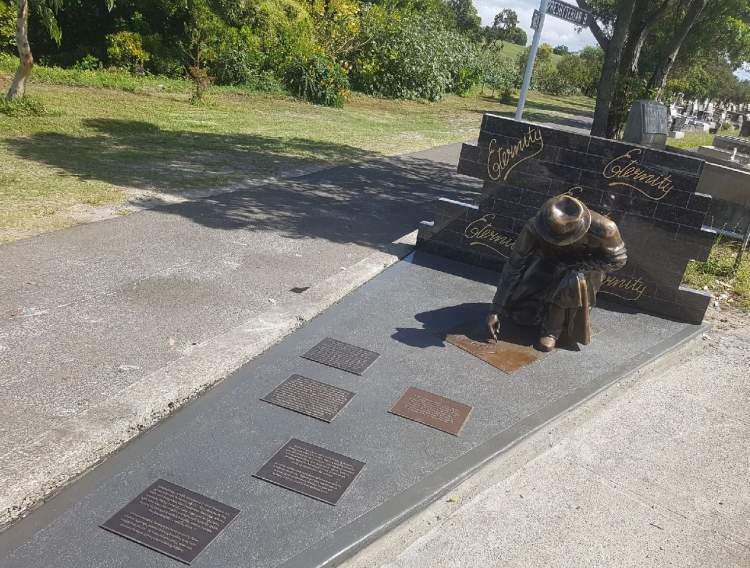 By the age of 12, with virtually no formal schooling and working in a coal mine, Arthur became a ward of the state. As a teenager, he became an alcoholic and had a stint in jail at 15. 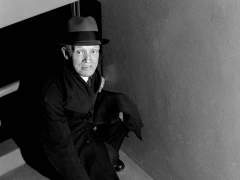 Afterwards, he worked as a lookout for illegal gambling establishments. In his twenties, he was a scout for his sisters’ brothels. 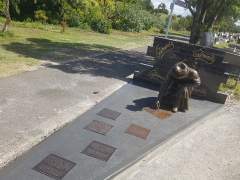 In March 1916, at age 32, while working as laborer he enlisted for World War I with the Australian Imperial Force 19th Battalion 5th Brigade, entering with the 16th Reinforcements, service number 5934. He suffered recurring bouts of bronchitis and pleurisy, which led to his medical discharge on 2 April 1919. It was August 6, 1930 that Arthur had a life changing experience. The Archdeacon R.B.S. Hammond of St Barnabas’ Church on Broadway was holding a meeting for men. There were about 300 men present, mostly “down and outs”, but they had to endure an hour and half of talking before they received their tea and rock cakes. Up front there were six people on a separate seat, all looking very clean, spruce and nicely turned out, a remarkable contrast to the 300 grubby-looking males in the audience. Arthur said to the man sitting next to him, a well-known criminal: “Who are they?” “I’d reckon they’d be Christians”, he replied. Arthur said: “Well look at them and look at us. 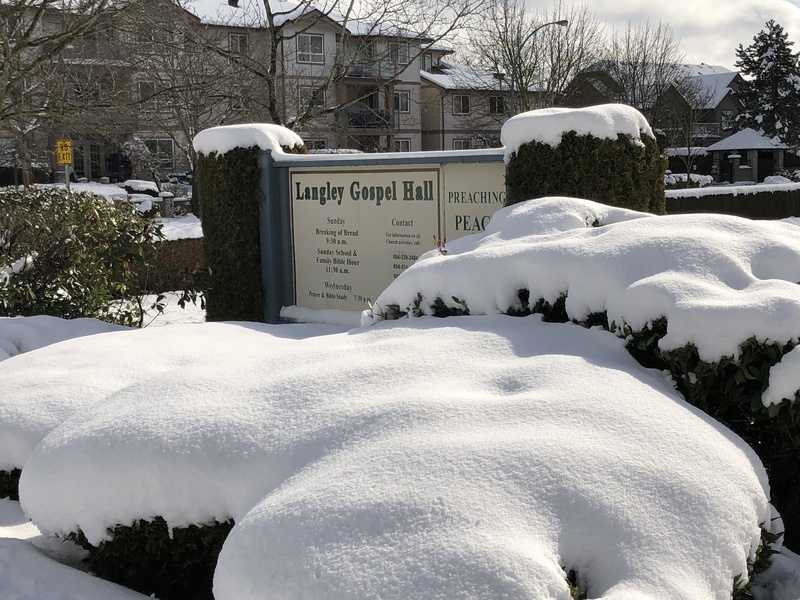 I’m having a go at what they have got,” and after the meeting he went across to Victoria park and he slipped down on his knees and prayed, and accepted the Lord Jesus Christ as his own personal Saviour. Arthur had found Christ, and at the moment of his repentance and faith was indwelt by the Holy Spirit – the power to change. He was able to finally kick alcoholism. Arthur said, “As I got back my self respect, people were more decent to me”. He got a job working on the sandmills at Maroubra one week on, one week off at three pounds a week. 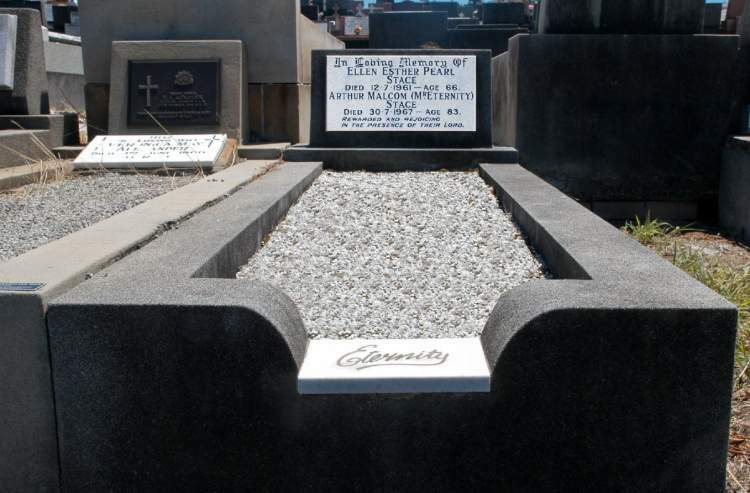 During the message Mr. Ridley said: “I wish I could shout ETERNITY through the streets of Sydney”. Arthur, when recalling the day, said: “He repeated himself and kept shouting ‘ETERNITY, ETERNITY‘ and his words were ringing through my brain as I left the church. Suddenly I began crying and I felt a powerful call from the Lord to write “ETERNITY“. I had a piece of chalk in my pocket and I bent down there and wrote it. The funny thing is that before I wrote I could hardly have spelled my own name. I had no schooling and I couldn’t have spelt “ETERNITY” for hundred quid. But it came out smoothly in beautiful copperplate script. I couldn’t understand it and I still can’t”. 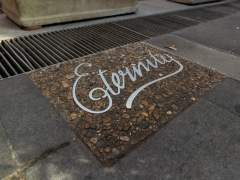 For the next 35 years, several mornings a week, Arthur would leave his home on Bulwarra Road, Pyrmont around 5am to go around the streets of Sydney and chalk the word “Eternity” on footpaths, railway station entrances and anywhere else he could think of. It is estimated that he wrote the word around 500,000 times over the 35 years. 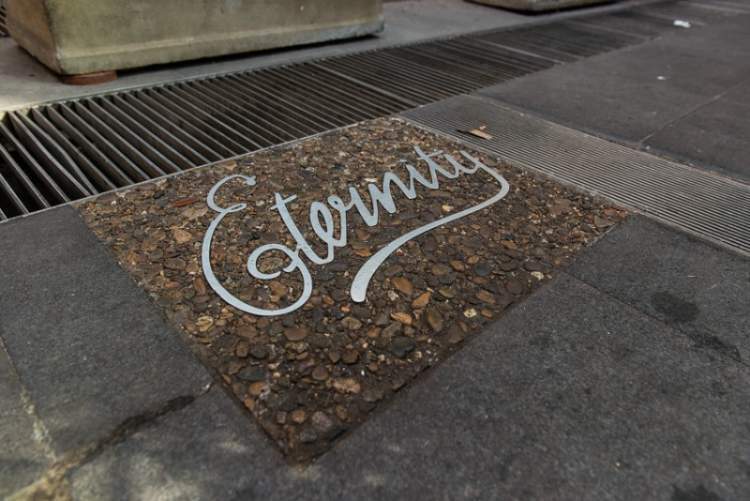 Workers arriving in the city would see the word freshly written, but not the writer, and so, “The man who writes Eternity” became a legend in Sydney. 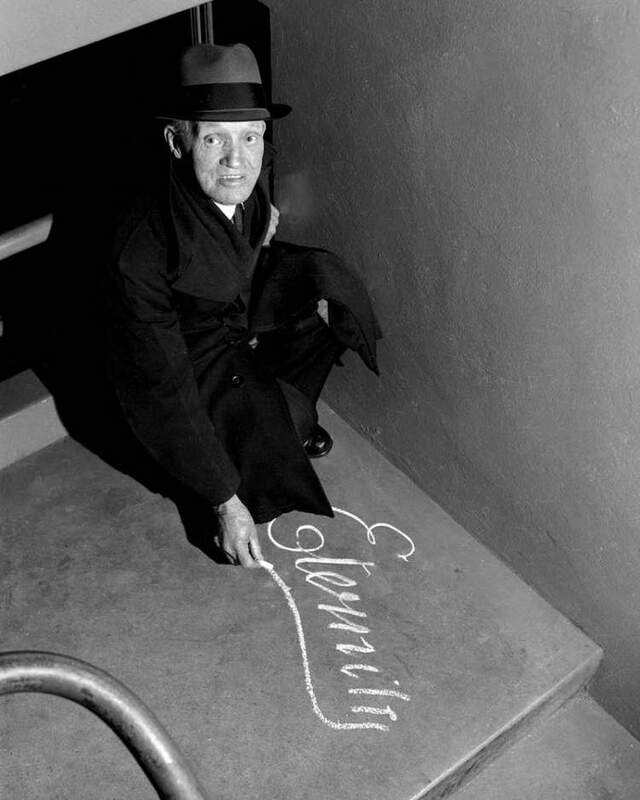 The mystery was solved when Reverend Lisle M. Thompson, who preached at the church where Arthur worked as a cleaner, saw him take a piece of chalk from his pocket and write the word on the footpath. Thompson wrote about his life and an interview was published in the Sydney Sunday Telegraph on 21 June 1956. In 1963, photographer Trevor Dallen cornered Arthur and asked to take a few pictures of him writing his famous phrase. After four photos, Dallen ran out of film and asked Stace to stay put while he got more but upon his return, Stace had gone. Several rare photo’s are below of “Mr. Eternity”. The National Museum of Australia in Canberra has one that was chalked onto a piece of cardboard for a fellow church member. Inside the bell in the Sydney General Post Office clock tower, which had been dismantled during World War II. When the clock tower was rebuilt in the 1960s, the bell was brought out of storage and as the workmen were installing it they noticed, inside, the word “Eternity” in Arthur’s chalk. 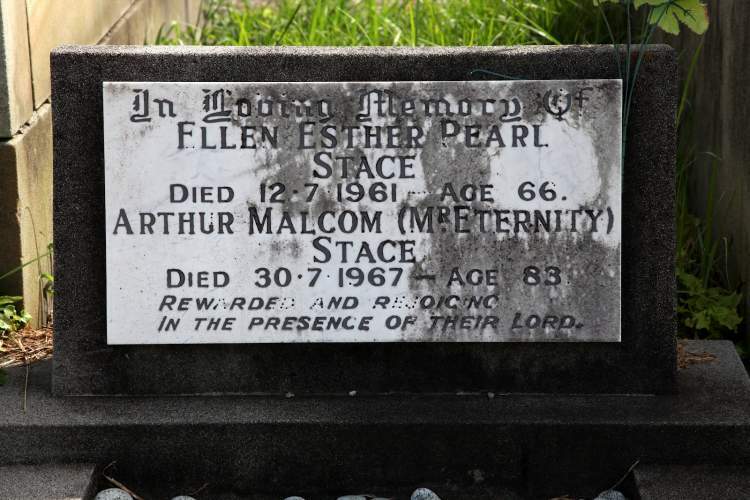 This is the only surviving “Eternity” by his own hand in Sydney. (No one ever found out how he had been able to get to the bell, which had been sealed up). As a tribute to the man known as Mr Eternity, the Sydney Harbour Bridge was lit up with the word “Eternity” as part of the celebrations for the beginning of the year 2000 Sydney New Year’s Eve celebrations, as well as part of the Sydney 2000 Olympic Games Opening Ceremony, at the celebration of the XXVII Olympiad. This was done to not only celebrate Arthur Stace’s achievements, but to celebrate the new millennium. As a new millennium dawned the great word, “Eternity” was blazoned across the networks to millions. Trust in the Savior’s grace and pow’r. Saved thro’ a long eternity! 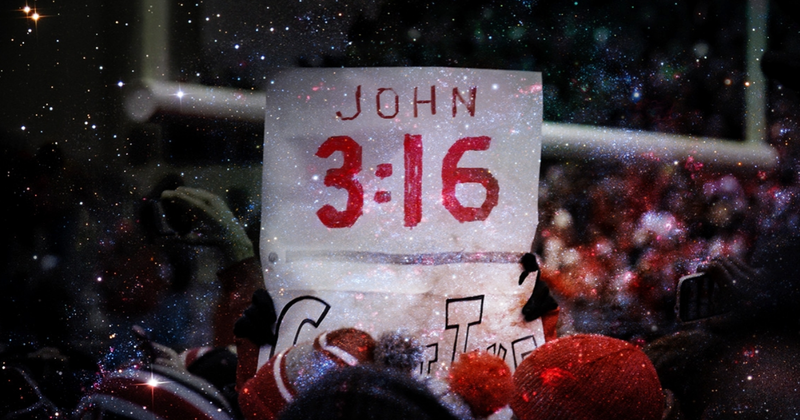 John 3:16 – What does it mean? previous post: John 3:16 – What does it mean?